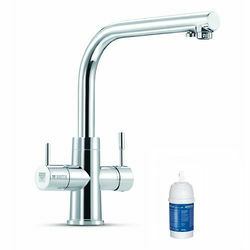 Brita Filter Taps > Dolce 3 In 1 Filter Kitchen Tap With LED Lights (Chrome). 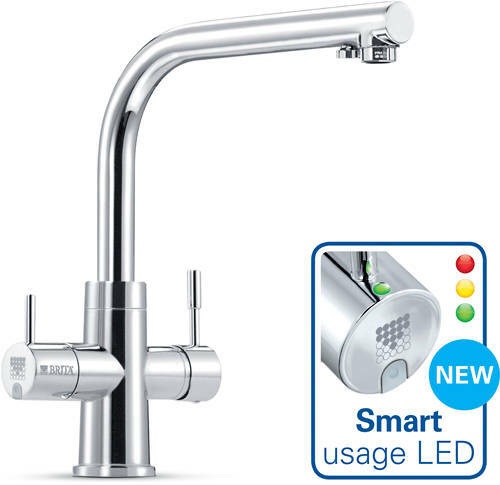 Brita Dolce hot, cold and filtered water kitchen tap with lever handles and LED filter indicator light. Suitable for all kitchen styles. Ideal for clean fresh water for the gym or cooking. Filtered water extends the life of your kettle and tastes great. 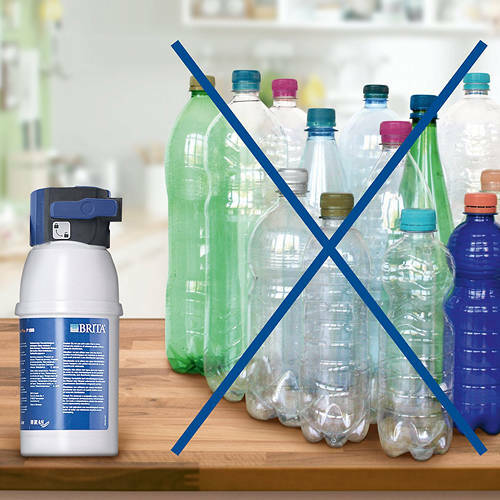 No need to buy any more bottled water! This BRITA 3 in 1 tap has two levers: one for your standard hot and cold water, with which you can additionally control the temperature and flow rate of the tap, and one lever featuring the BRITA logo, through which you can get only BRITA filtered water. Effortless cartridge replacement: P1000 cartridge lasts for 3 to 6 months of filtration (included in this pack). 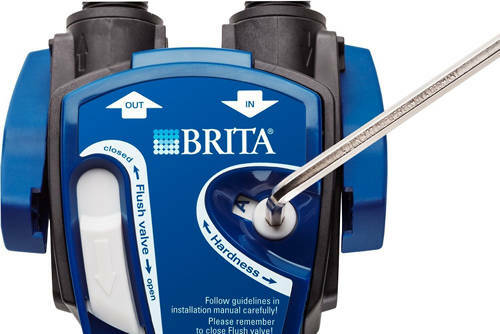 Brita filter taps reduce chlorine, limescale, organic impurities and heavy metals such as lead, copper and aluminium. 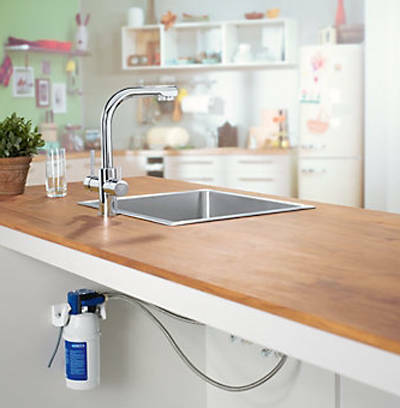 Space-saving installation of the replacement cartridge under the sink with practical wall mounting bracket. 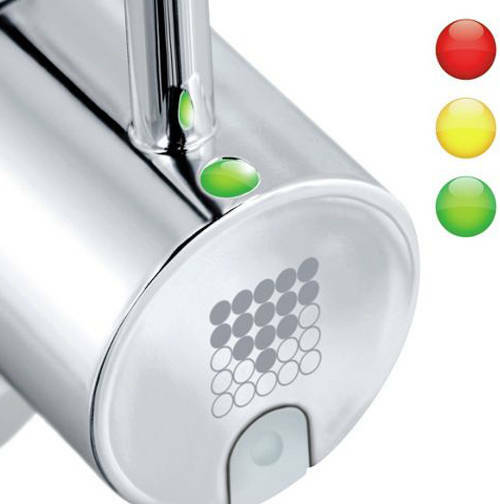 LED traffic light system located at the handle of the tap indicates the lifetime of the filter. Brass body with chrome finish. Minimum pressure required is 1 bar. 3 year manufacturer's guarantee on this filter tap. 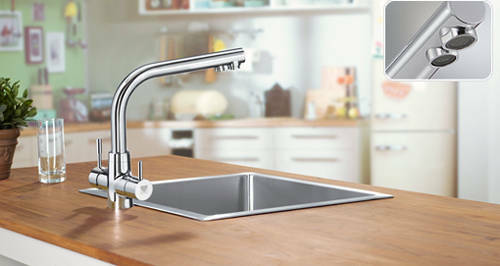 Enjoy instant BRITA filtered water fresh from these top quality Francis Pegler taps! 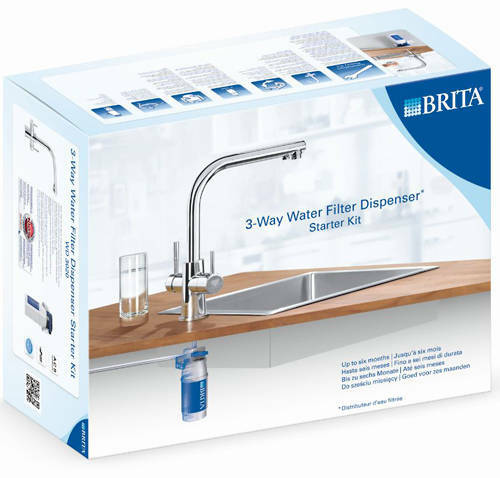 These specially developed water filter taps offer all the benefits you'd expect from BRITA filtered water: less limescale, less chlorine and fewer impurities. 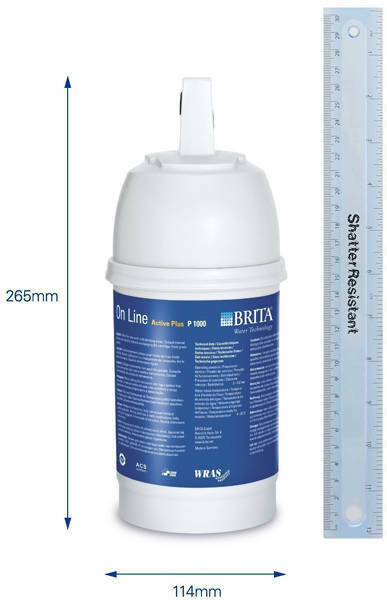 The unique BRITA cartridge fits discreetly under the sink and delivers 500 litres of BRITA filtered water. A handy indicator at the base of the tap uses a traffic light system to tell you when the cartridge needs changing. The cartridge just screws on and off so you can easily change the cartridge yourself.